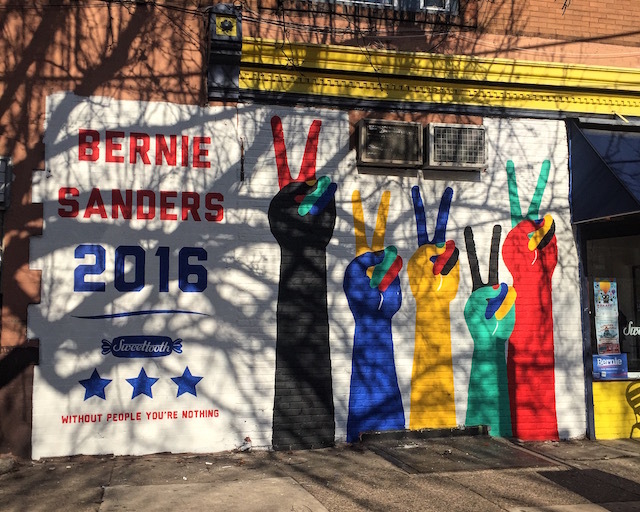 Nick Kuszyk’s Bernie Sanders mural in Greenpoint. Photo courtesy of Nick Kuszyk. Nick Kuszyk has painted two murals in Brooklyn. 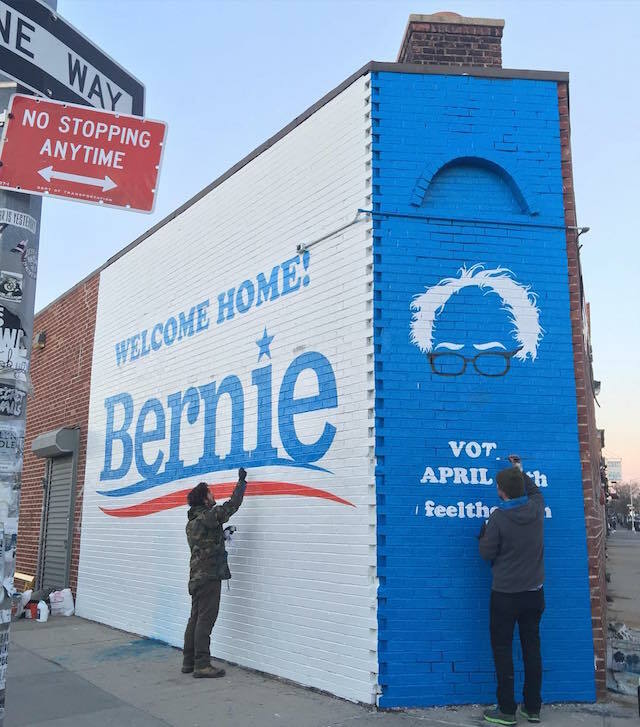 One (above) welcoming Bernie back to his hometown in anticipation of the New York primary (takes place on Tuesday! ), and one highlighting Sanders’ commitments to criminal justice reform. Nick Kuszyk for Bernie Sanders. Photo courtesy of Nick Kuszyk. In Philadelphia, things started small. 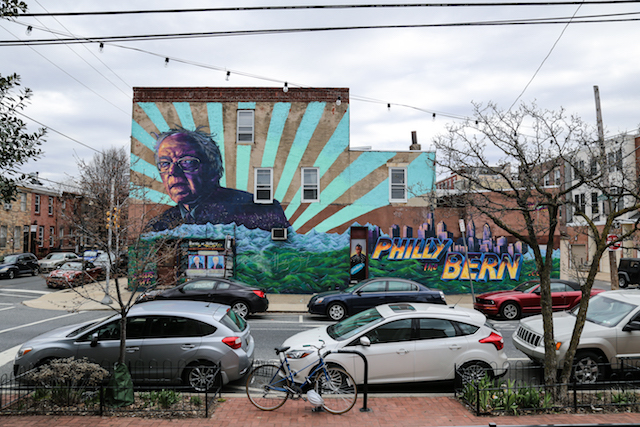 Brooks Bell painted a modest pro-Bernie mural on a candy store back in December. 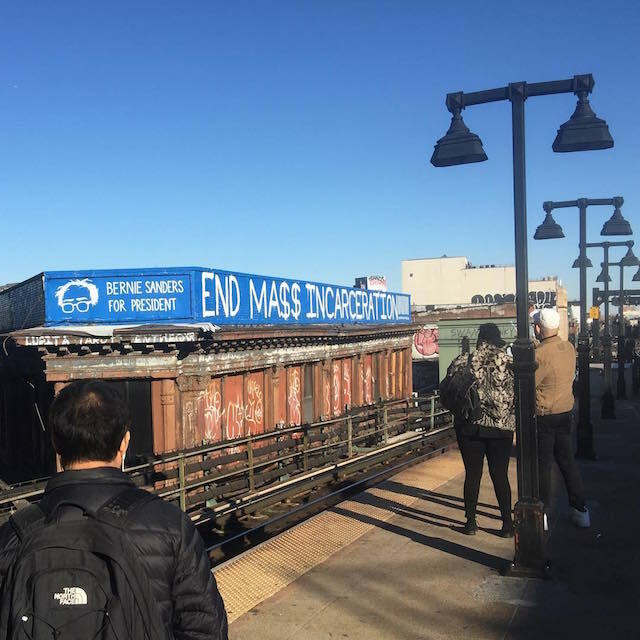 And then last month, Conrad Benner of StreetsDept brought together Old Broads and Distort for a huge mural that has quickly become a local icon. 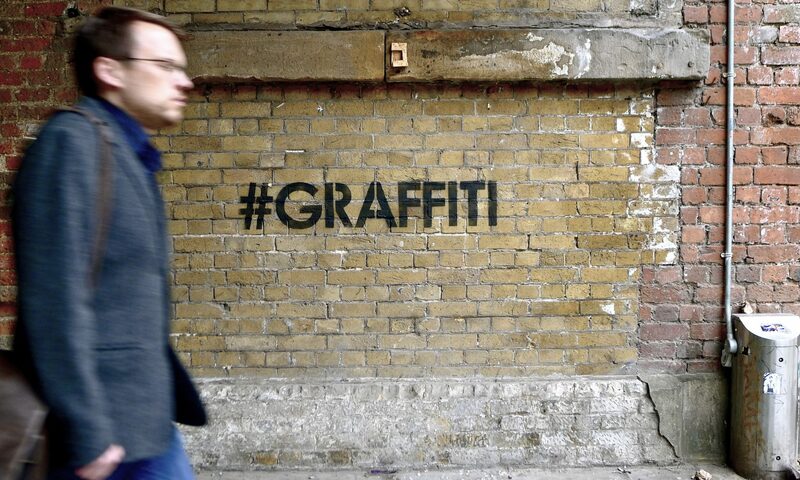 Mural and photo by Brooks Bell. Old Broads and Distort in Philadelphia. Photo by Conrad Benner. 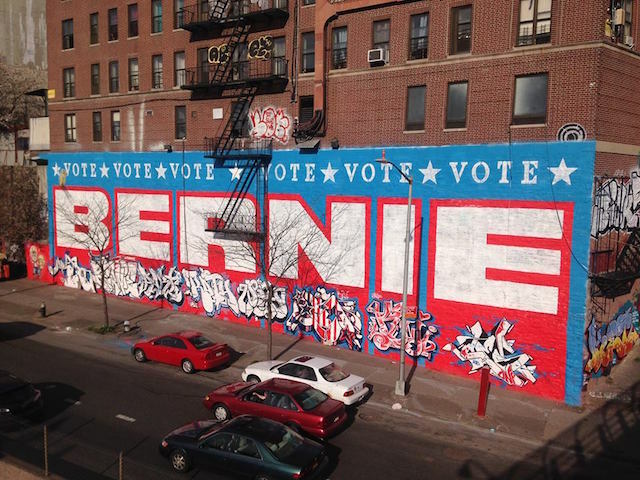 And now, with just days until New York’s primary, a team of street artists, muralists, and graffiti writers came together for a bold Bernie mural in the Bronx. The piece was organized by Garrison Buxton and Alan Ket, designed by Noah McDonough, and painted by Garrison Buxton, Ces, DOC Tc5, Ewok One, John Fekner, Alan Ket, Noah McDonough, Queen Andrea, Part One, Python, and Rath. Bernie in the Bronx. Photo courtesy of Garrison Buxton. New York’s primary is this Tuesday, April 19. Get out and vote (for Bernie)!